Over my gig-going years, I’ve tried my best to ignore arenas. I purposely missed R.E.M in the Odyssey in Belfast because, well, it’s a barn. An echo chamber, a cold, souless, cavernous, concrete pit. If anyone knows me they might be horrified by that. REM, are by some margin, my favourig act from any planet. I’ve avoided arena shows in the main because normally the sound and atmosphere is just a little pants. It’s dull, you’re stuck in a seat, everything is overpriced and its just too clinical. Add to that, I tend not to like the kinds of bands that fill arena either. Anything over the 3000 to 5000 punter mark and I can get get a little bored. Call me a snob, I care not a jot. My first arena gig, if I remember correctly, was Muse, in the Odyssey. I didn’t buy a ticket, heaven forfend, an old pal had some extras and we went along for a laugh. We were sat as far away from the stage as you possibly could be, the sound was awful, the view was worse, the band themselves looked like they were about three inches tall. Worse still, was that they were terrible and the only thing of interest was the scale of the stage rig they travel with. My second arena gig was The Commitments reunion tour in the Odyssey, again. The main reason I went is that my friend was in The Commitments movie and was part of the tour. She gave us the tickets as a thank you for some photo work and as luck would have it the gig took place on St Patricks night. Well, hello. I assumed that the evening would end in a sea of booze in a hotel someplace, this would be the wild party to end all wild parties. Better still I’d catch up with a friend and party with the stars of one of my favourite films of all time. Perfect. Not so. The Commitments team were on such a short leash that immediately after the show they were herded onto a tour bus and driven straight to Dublin. There was a list of radio appointments the following morning, television appearances to fulfil and a diary that was frankly scary. Someone had invested a lot in this sucker and they were getting their monies worth. We barely had time for a beer. Thats it. Two arena shows until this lot, in Manchester. 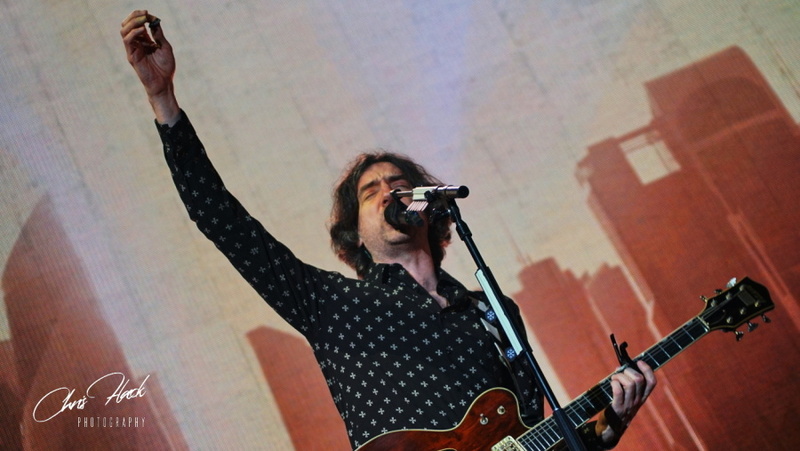 After a hiatus of seven or so years, the lovely gentlemen that are Snow Patrol announced a tour of the UK. I had just bought a new camera and figured if I was going to do this photo malarkey then I would have to see what it could do, give it a big room to play in. I got in touch, got a pass and headed to Manchester. These images are the result. They weren’t for any magazine, they were just for me, their main function was to test a zoom lens indoors at an arena gig, but what’s the point of taking pictures if no one sees them?